Aarong has established in 1978 with the visionary goal to change the lives of deprived artisans and underprivileged rural women by enlivening and encouraging their arts and crafts. Aarong represents the global village even the name „Aarong‟ means „a village fair or market‟ in Bengali. The products of Aarong have the essence of Bangladeshi culture and beauty into each and every piece. So the organization has named „Aarong‟. Aarong was established to help the marginalized people of Bangladesh. The reason is most of the people in Bangladesh live in the rural areas. They are the most disadvantageous and marginalized people and Aarong has developed a ground for these people. According to this organization, lack of working capital, marketing support and opportunity for skills development are the three main obstacles for gainful employment in the rural areas. As it is a social enterprise, it provides some services to the low income and marginalized people in the rural areas to overcome the three main obstacles. Besides Aarong is protecting and promoting Bangladeshi product and designs which contain the essence of Bangladeshi culture and beauty into every piece and pioneer in promoting the fashion industry of Bangladesh. At the beginning their target buyers were a few merchants of Dhaka. Soon enough, Aarong started to grow and spread throughout the whole country, from one single shop to the biggest retail chains of Bangladesh. Now Aarong has more than 100 product lines. 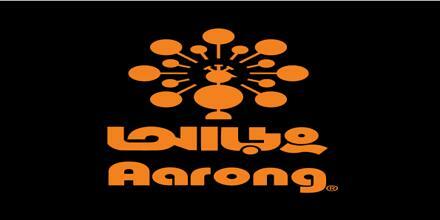 Aarong provides the local and international public opportunity of owning a Bangladeshi handcrafted product. At present Aarong have 12 domestic outlets in Dhaka, Chittagong, Sylhet, Moulvibazar, and Khulna and 1 franchise outlet in London. Since 1984 this organization is exporting their products in Italy, U.K., Spain, Canada, Japan and other countries. The target customers of Aarong are middle and higher socio-economic classes, expatriates, foreign visitors (tourists and business travelers) and Bangladeshis living abroad. Though they have more than 100 product lines, maximum profit is earned form women‟s wear, men‟s wear, children‟s wear, jewellery, leather, household (textile, non-textile) and others. Others includes food, herbal products, stationary, toys and furniture. Day-by-day this organization‟s sales are increasing as well as profit. As Aarong is the leading fashion house of Bangladesh, for conducting their business operations perfectly they need qualified staffs. This organization has a Human Resource Department which ensures inflow of qualified human resources in the organization. The core activities of HR department are recruitment and selection of staffs, transfer of staffs, maintaining attendance of staffs, leave management, performance appraisal, confirmation of jobs, job separation, grievance management, approve loan, arranging travel authorization, providing allowances, arranging temporary staffs salary, preparing visiting card and maintaining procedures of Aarong health care service etc. Aarong is the leading fashion house in Bangladesh and pioneer in promoting the fashion industry of Bangladesh. Aarong established in 1978, inspired by the principle of „“To provide a stable and gainful source of employment for the underprivileged rural artisans, lift up the traditional identity and the commitment of quality service”. The three basic characteristics of Aarong are Quality, originality and uniqueness. It is an enterprise of BRAC. Collaborating with Ayesha Abed Foundation (AAF), Aarong is conducting its all operations. The main goal of Aarong is to help the marginalized people of Bangladesh. Besides protecting and promoting Bangladeshi products and designs which contain the essence of Bangladeshi culture and beauty into every piece. The key values of Aarong are quality products and services, concern for people, especially for producers, promoting and creating demand for Bangladeshi crafts and craft-related skills, teamwork, gender equity, creativity and innovation and environmental consciousness. Aarong represents the global village. According to this organization, lack of working capital, marketing support and opportunity for skills development are the three main obstacles for gainful employment in the rural areas. As it is a social enterprise, it provides some services for low income and marginalized people in the rural areas for overcoming the three obstacles. Most of the people of Bangladesh live in the rural areas. Rural people are the most disadvantageous and marginalized people and for these underprivileged people Aarong has developed a ground collaborating with Ayesha Abed Foundation. Aarong is supporting more than 2000 villages by utilizing their artistic skills and helping them to earn for living. Nearly sixty five thousand rural artisans and handicraft producers are involved with Aarong. 85% of them are women. At present Aarong have 13 production centers and 653 sub-centre‟s across the country. As a result of significant contribution of these artisans and handicraft producers Aarong has more than 100 product lines at present. Aarong‟s product range includes men‟s products, women‟s products, children products, home textile, home accessories, jewelry products, leather products and so on. At present it has 12 domestic outlets in Bangladesh. These are 6 in Dhaka (Uttara, Dhanmondi, Gulshan, Moghbazar, Wari, Mirpur), 2 in Chittagong (Sholashahar, Halishahar), 1 in Sylhet, 1 in Moulvibazar, 1 in Comilla and 1 in Khulna. Except these outlets Aarong has 1 franchise outlet in London. Aarong provides the local and international public opportunity of owning a Bangladeshi handcrafted product. It is representing Bangladeshi culture to the outside world. This organization has export market since 1984. Aarong exports their products to Italy, U.K., Spain, Canada, Japan, Australia etc. 85% of the buyers of export market are leading fair trade buyers and 15% of the buyers are commercial buyers including London outlet. At present Aarong has grown as a flourishing international enterprise making the local, ethnic crafts available to the international market. Aarong has successfully included into its wide and diverse spectrum of beautiful crafts from silks, handloom cotton, endi to terracotta, bamboo, jute and much more. The word „Aarong‟ is a Bengali word which means „a village fair or market‟. A village fair is a great event to the villagers. In a village fair artisans and craftsmen get the opportunity to show their talents and display their handcrafted traditional products for selling. The name Aarong represents the organizations commitment towards promoting traditional Bangladeshi products and designs which are handcrafted by rural artisans and handicraft producers around the country. In addition the products of Aarong have the essence of Bangladeshi culture and beauty into every piece. Keeping these thoughts in mind, the organization has named as „Aarong‟. The logo of Aarong is the image of a peacock. It is amazingly beautiful because of having the glowing, luminous, diversified colorful patterns in its tail. This logo indicates that Aarong products are eye-catching and unique as a peacock. Moreover, it wants to emphasize on its natural, eco-friendly products through the symbol. There are two colors in the Aarong‟s logo. One is black and another is orange. Black represents professionalism and orange represents energy. BRAC the largest NGO of world was established in 1972. Then in 1976, BRAC the largest NGO of the world dedicated to lessen poverty and empowering the underprivileged people has started a small initiative to promote sericulture among the women of Manikganj. Later, Aarong was born in 1978 need of helping the disadvantaged, poor silk farmers of Manikganj. Their visionary goal to change the lives of deprived artisans and underprivileged rural women by enlivening and encouraging their arts and crafts. At the very beginning their target buyers were a few merchants of Dhaka. Soon enough, Aarong started to grow and spread throughout the whole country, from one single shop to the biggest retail chains of Bangladesh. Now, Aarong has a big family of 65,000 artisans with versatile artists including weavers, potters, brass workers, jewelers, jute workers, basket weavers, wood carvers, leather workers and more. Among these artisans, 85% of them are rural women which show positive indications towards empowering women. Today, it can be easily said that Aarong has become the biggest platform for the little independent groups and family-based initiative for selling their crafts in the national and international market. Aarong is stands as the interfacing bridge through which rural artisans and women can sell their home-made products and bring food to their table. Aarong is a leading fashion house in Bangladesh. Though it was born in need of helping the disadvantaged, poor silk farmers of Manikganj, soon enough Aarong started to grow and spread throughout the whole country, from one single shop to the biggest retail chains of Bangladesh. Aarong provides services to the disadvantaged artisans and under privileged rural women who works for Aarong. Aarong has formed with the goal of bring about positive changes and helping the rural marginalized people. For doing this they identified three major lacking areas. Those areas are: working capital, marketing support and opportunity for skill development. To promote efficiency and productivity instant payment on product delivery. For artisans, doing marketing communications and making availability of information. To ensure reasonable value for efforts given by producers reaching out to them in remote areas. Product development through product design and support. To increase product quality and marketability provide training and education skills development. If necessary paying in advance for purchase order. To make producer aware of importance of maintaining quality, it‟s conduct quality control. In its 34 years of journey, Aarong has created value for thousands of rural artisans and Millions of satisfied customers. Today, Aarong is one of the strongest brand ambassadors for Bangladeshi cultural heritage. At present Aarong has 65,000 artisans who are working in 13 production centers and 647 sub centers, 2200 employees are working in the corporate level and has 12 Local outlets and 1 international franchise outlet. Recently it opened a new outlet in Comilla. Sales growth of Aarong is increasing day by day as well as no. of the outlets is increasing. The profit generated from Aarong is either reinvested for its expansion or ploughed back to BRAC for development initiatives as it works towards BRAC‟s goal of poverty alleviation through economic and human capacity building and empowerment of women. Personal Selling of Beximco Pharma Ltd.